Fresh from the Nantahala in North Carolina, here’s a trip report to whet one’s appetite for Spring’s arrival. 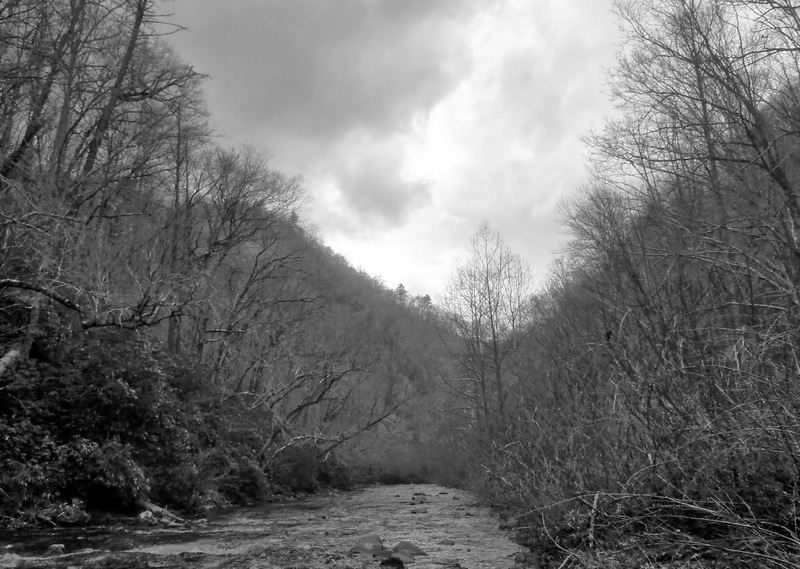 Today, Sunday, March 2nd, I decided to drive north for a change of pace and fish the Nantahala DH. The temperature never got close to 70 in the “Land of the Noonday Sun," but it was very pleasant up in the Gorge and I even unzipped my jacket during the hottest part of the afternoon! I didn’t arrive until about 11:30 and moseyed around before finally hitting the water a little after 12 PM. On stepping into the stream there was one thing I noticed all around me, GRAY. Usually gray is a color that we associate with tiredness and lifelessness. In some sense that was true. The huge rock walls around me and the hibernating limbs of the trees gave a fairly lifeless appearance beside the sounds of the water roaring through the gorge. But on closer inspection of the streambed, lifeless would not be a word that I would use. All around, the “groceries,” were starting to hatch and buzz around. First to come into sight were all of the caddis flies. I counted at least three different types, including a small size 18 black caddis, a size 16 dark charcoal gray caddis, and a bigger size 14 lighter gray colored caddis. There were also a few of the larger mayflies, Quill Gordons and smaller Blue Quills but they were few and far between. That’s all fine and good but you are probably asking yourself, “How were the fish biting on them?” Well even though the smaller caddis were the most numerous, the fish did not seem to want to touch them and preferred the larger 14 grey caddis instead, even though they were very sparse. However, due to the fact that I still had a little bit of winter cretin still left in me, I decided a dropper nymph below the dry would be a smart move. I stuck on a size 16 grey caddis pupa with a black nickel tungsten bead about 4 feet below my Caddis dry fly. The fishing was nothing short of phenomenal to say the least. I landed over 60 fish in the course of the afternoon with the caddis pupa only slightly edging out its floating cousin but only by a narrow margin! Later in the afternoon, between 4:00 and 5:00, I found a couple of stretches where the bigger mayflies were hatching fairly well and I caught several on a parachute Quill Gordon dry fly. The key to getting bit with the dries was to keep them perfectly drag free as any sort of movement of the fly was usually met with a refusal. I pulled more fish out of the deeper boulder fields than anywhere else as I think the gradient slackens just enough for the fish to pile up in the deeper troughs and current seams so they can hunt for food. Fish count wise it was split between rainbows and browns, including many wild fish of both species. Unfortunately a brook trout never found its way onto the end of my line to complete the hat trick, which is fairly unusual for the Nantahala. Hopefully some of this information will help or encourage someone to get on some dry fly action here soon. It was gorgeous out today and if you didn’t wet a line, I feel for you! -The Owner of a Rough Life.